After safely negotiating the threat presented by the Swedish side, Malmo FF, in the last-32 knockout round, with Chelsea winning 5-1 over the two legs, the draw for the next round took place at lunch-time today. 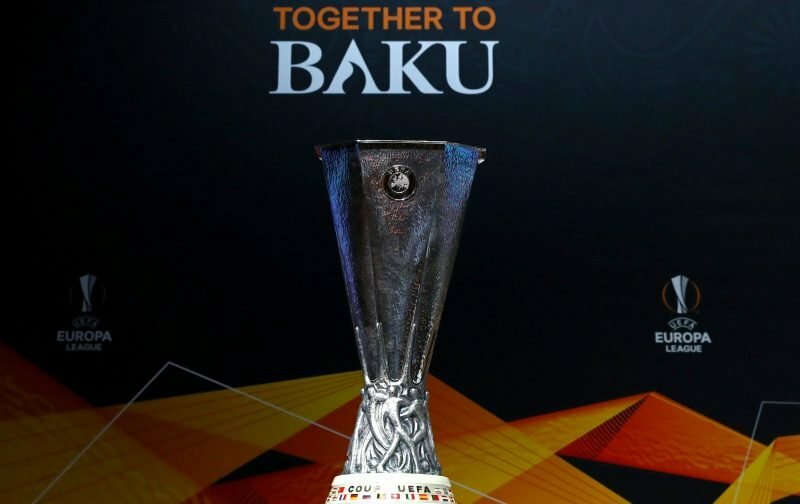 With just sixteen teams left challenging for the Europa League trophy, Arsenal, Benfica, Chelsea, Dinamo Zagreb, Dynamo Kyiv, Frankfurt, Inter, Krasnodar, Napoli, Rennes, Salzburg, Sevilla, Slavia Prague, Valencia, Villarreal and Zenit, it’s fair to say we’re at the stage of the competition where there are no easy draws as we look towards the final, in Baku, on 29 May. Chelsea, looking to win the piece of silverware they last won back in 2013, were paired with Dynamo Kiev, a very tough proposition considering the amount of travel involved. There’ll also be the question posed as to whether Kiev will actually be the venue the away leg will be played in with there being an element of unrest between Russia and the Ukraine, something possibly stoked up further by the fact Chelsea are owned by a Russian, Roman Abramovich. The ties will be played on 7 and 14 March.